Hotel Ashhok is one of the most sought-after hotels in Hassan, offering memorable stay to leisure vacationers as well as business travelers. 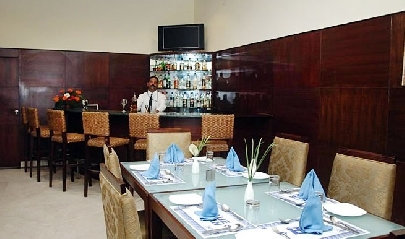 The staff offers impeccable personalized hospitality all- round the clock. The views are wonderful and the environment is peaceful. The accommodation here comprises of well-equipped and well-furnished rooms and suites that come with all kinds of comforts. The 3 dining venues and a well-stocked serve lip-smacking dishes of Indian and popular World cuisines, along with a variety of beverages. Other facilities at Hotel Ashhok in Hassan include gym, fitness center, swimming pool, complimentary Wi-Fi, complimentary tea/ coffee and hot snacks by pool side, along with indoor and outdoor activities. 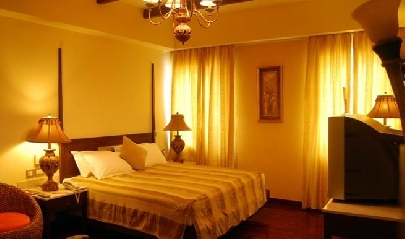 The air-conditioned rooms and suites at Hotel Ashhok, Hassan have a warm color palette and a soothing décor. Some of the modern comforts here include center table with comfortable sofas, attached bathroom, television with satellite/cable connection, room service, telephone with STD-ISD facility, refrigerator, Wi-Fi facility, personal mini-bar bar, iron and ironing board, tea/coffee maker, hairdryer, and so on. Your stay here will be full of peace of mind. Enjoy the impeccable services of the well-trained staff. Savor wonderful views of the property’s courtyard and garden during your stay. The accommodation is set in a peaceful surrounding and are ideal for business as well as leisure guests. Standard and Deluxe Rooms are available on Single/Double basis. Suite and Presidential Suite are the other accommodation option. Offer lip-smacking delicacies of Indian, Continental and Chinese fares, Shantala bar and restaurant has an extensive menu with vegetarian as well as non-vegetarian delicacies. While the dining area has the capacity of 52 covers, the bar has 16 covers. The wide-ranging bar menu has a variety of alcoholic as well as non-alcoholic beverages, from across the globe. The décor of the dining venue is stylish and the floor-to-ceiling windows look striking. The staff is extremely courteous. Blue Bean Coffee Shop is a 24-hour coffee shop, which is an ideal place for an informal business meeting as well as a laid-back talk session with your loved ones. The menu comprises of various kinds of coffee, snacks, quick bites and delightful pastries. 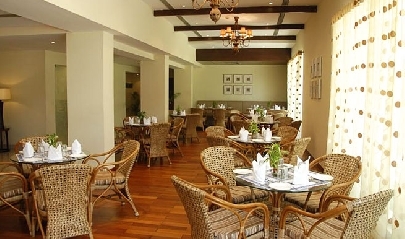 The Ambiance is that dining venue where finger-licking meals are served in the form of buffet, which has both vegetarian and non-vegetarian delights. 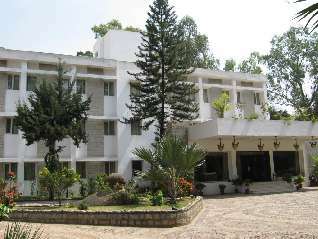 Hotel Hassan Ashhok in Hassan is thoughtful of the requirements of the corporate guests as well. 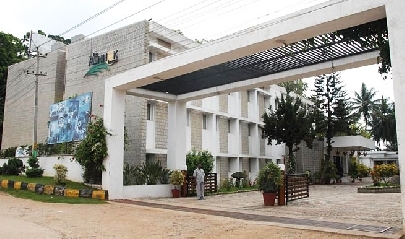 The hotel features state-of-the-art conference facilities that are of immense help to the business guests who do not wish to stay detached with their business proceedings even if they are on a pleasure trip. 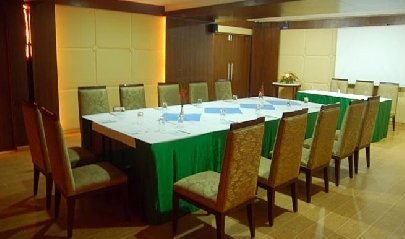 The hotel also incorporates a banquet hall that is spacious enough to accommodate up to 50 guests in theater style. The hotel is mindful of the fact that the recreational facilities that the hotel makes available to the guests go a long way in translating one's stay into a fun-filled and convivial experience. Pamper yourself at the on-site beauty parlor or indulge your shopping urge at the shopping arcade. A magician available on the campus will take you back to your rocking childhood days.